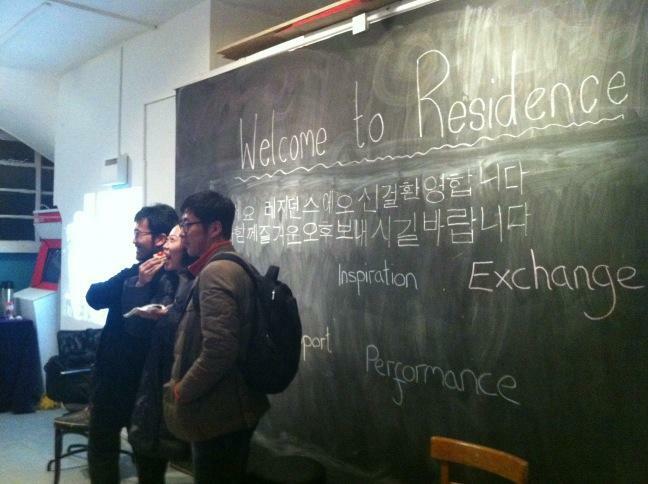 In November 2012 we hosted a group of delegates from Korea, who were visiting Bristol with the British Council and Theatre Bristol, to see a variety of performance spaces and meet artists who make their work in this city. Coming from a variety of backgrounds themselves, as producers, programmers, and some also making their own work as artists, it was interesting to meet and share our model of how we work at Residence. We held a short discussion around how Residence came to be, and the huge value for us in running an artist-led space where we support each other, and work non-competitively.